The Business Development Team is here to connect you to resources and programs when you are ready to locate or expand your business in South Bend. 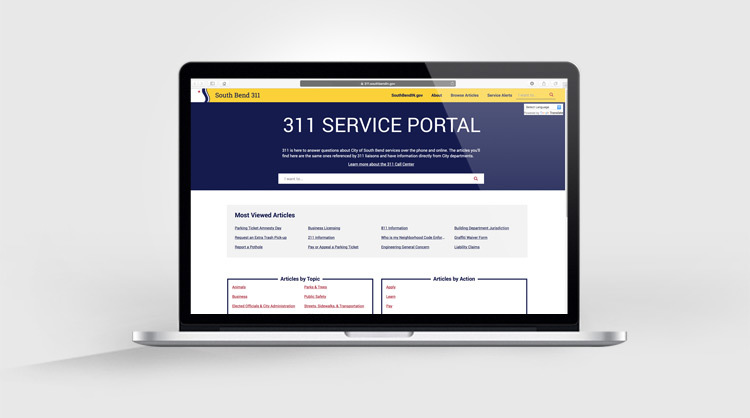 Our team is responsible for the analysis, budgeting, and usage of certain Department of Community Investment funding sources, including the Industrial Revolving Loan Fund, Industrial Revenue Bonds, Tax Abatements, and Tax Incremental Financing. Additionally, the team is responsible for the management of Redevelopment Commission owned property. The team focuses city-wide while providing specialized opportunities in the downtown and various other development areas. 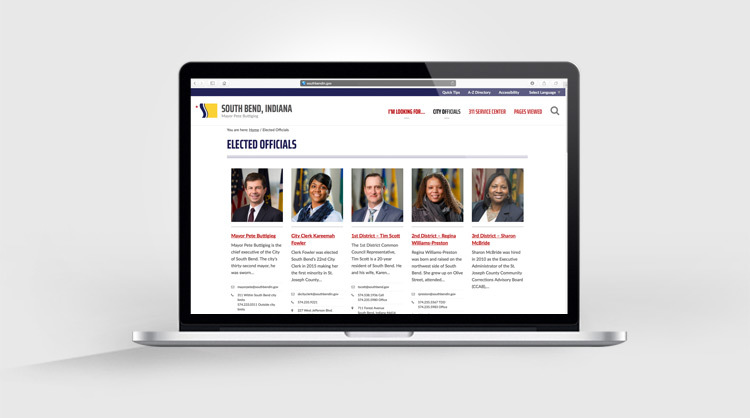 Small or large, start-up or established, make the City of South Bend Business Development Team your first call. Contact Economic Resources for a listing of additional resources available for business development in South Bend. 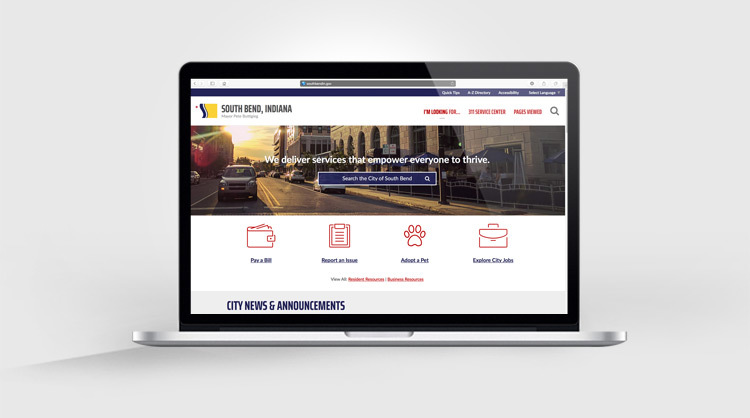 If you own or operate a downtown South Bend business, the staff at Downtown South Bend Inc. (DTSB) can help your business increase its success – with information and resources to meet your needs. 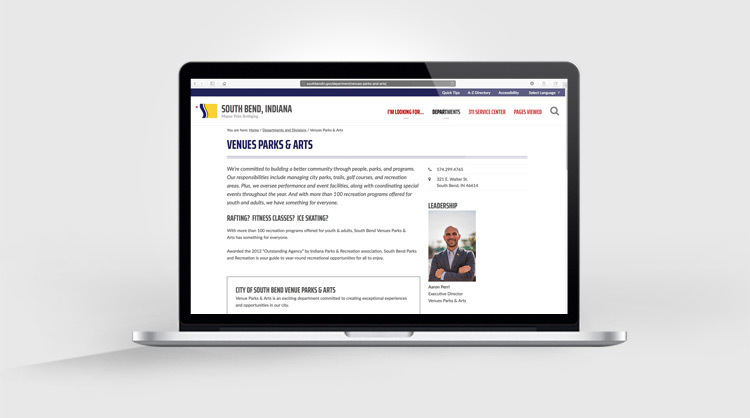 The City of South Bend works with a variety of partners for economic and community development — public and private, nonprofit and for-profit, residential, commercial and industrial. Below are links to the web sites of those organizations. Tax Incremental Financing or TIF is a method of generating revenue for the implementation of the plans developed for the Redevelopment and Economic Development Areas. When a TIF area is established, any increase in real property assessed value due to new investment is attributed to the TIF, and the taxes generated by the increased assessed value are deposited in the TIF Allocation Fund. This is referred to as the TIF increment. The assessed value of the area before the TIF area is established is referred to as the “base” assessed value. 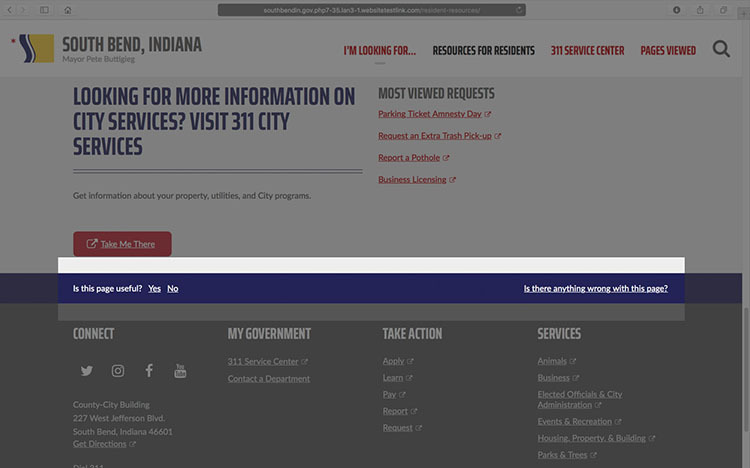 Taxes generated from the “base” continue to go to the local taxing units, just like they did before the TIF area was established. These expenditures can be paid directly from TIF revenues, or through the issuance of bonds, or by reimbursement to the City. The downtown South Bend Municipal Riverfront Development District (District) is a project district where 3-way liquor licenses are made available to eligible dining, entertainment, and cultural establishments for $1,000 as a way to spur development along and near our river. This District was made possible via state legislation and an Ordinance passed by the City of South Bend Common Council that designated the District and adopted eligibility requirements. Applicant’s establishment must be located within the Downtown South Bend Municipal Riverfront Development District boundaries. Focus of operation must be on a dining, entertainment or cultural experience rather than an alcohol consumption experience. Beverages must be served in glass containers. Patrons consume food at either a counter or table. Must be a non-smoking establishment (exception made for upscale cigar lounge). Cannot be a private club, nightclub, or adult entertainment venue. No temporary exterior signage will be permitted. Permanent, attached signage is required. Establishments located within the district with an existing 3-way license may not sell their existing license in order to apply for a 221-3 Riverfront license. There will be a minimum 1-year wait between the time any business with an existing license sells their license and will be able to apply for a new license. For Downtown Businesses: Applicant must agree to become a full-paying member of the Downtown Dining Association and/or community partners with Downtown South Bend, Inc. The dues for the Dinning Association or required commitment to Downtown South Bend Inc. shall not exceed $200 per month per establishment (as of Spring 2013 current Dining Alliance dues are $1,325 annually). 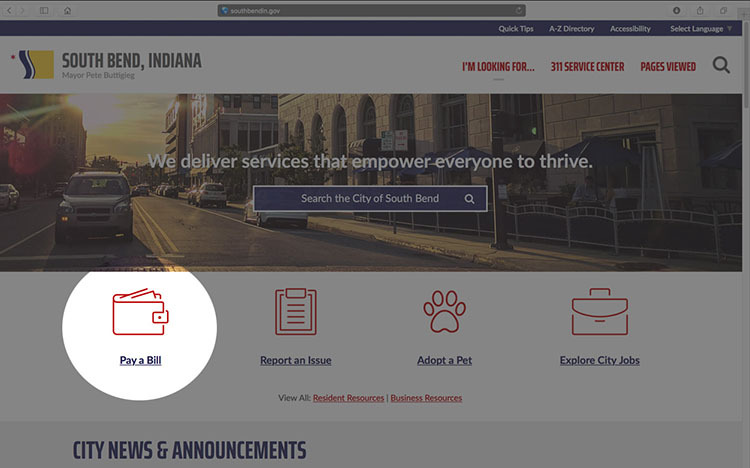 For Businesses Outside of Downtown, and within the Municipal Development District:Applicant must agree to pay a $300 annual administration fee to Downtown South Bend, Inc. Granting of the license will benefit the purposes of the district, i.e. to become a cultural and dining destination for the region. Granting of the license and the business activity will not be detrimental to the property values and business interest of others in the district. South Bend offers financing to promote economic development, creating and/or retaining jobs, creating higher paying jobs and promoting industry in the community. Industrial Revenue Bonds (IRFs) or Private Activity bonds, are tax-exempt bonds issued by government entities, with the proceeds loaned to private companies. The interest on the funds is typically tax-exempt, making them attractive to investors and resulting in lower financing costs to the company. 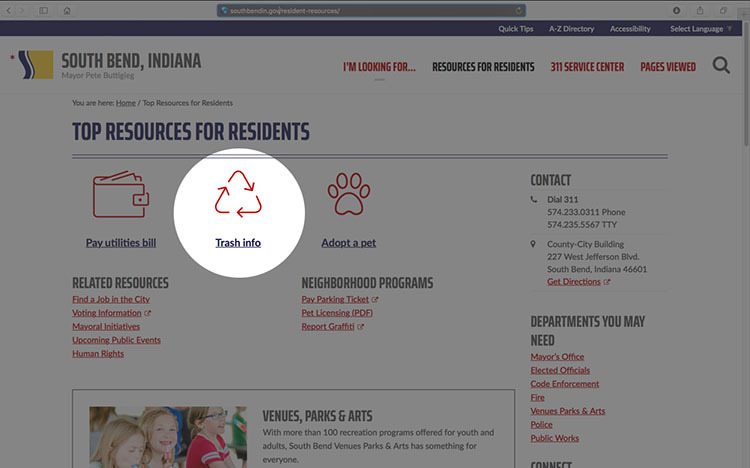 The underlying purpose of the industrial development enabling legislation is to provide or preserve employment, reduce or eliminate pollution, or to increase industry within the State of Indiana. Any proposed manufacturing project should qualify under one of these broad categories. Refinancing of existing property to obtain favorable tax exempt rate of interest is not an eligible use of IRF financing. For more information about IRF financing, or to submit an application, e-mail Angelina Billo, or call 574.235.5838.